“The Temperamentals” takes its name from one of the code terms that was used for gay men back in the 50’s. The term “gay” in those days meant “happy”, and the word “homosexual” was too frightening to say out loud. One man from that generation, when the gay male American culture was marked by codes and secrecy, was Los Angeleno Harry Hay. Hay was a 39-year old married member of the Communist Party when he conceived the idea of forming a homosexual activist group. When we first meet Mr. Hay (Thomas Jay Ryan) in the play, he’s clearly an intelligent and progressive thinker with a direct, no-nonsense attitude. In an early scene, he states with conviction that he knew he would be famous. The reason? He was born on Easter Sunday in 1912, a week after the Titanic went down… and two Titanics cannot exist at the same time. However, we soon see that the tailored suit and tie Hay wears is something of a metaphor for the conformist ideals of the ’50’s that our hero is trapped in. 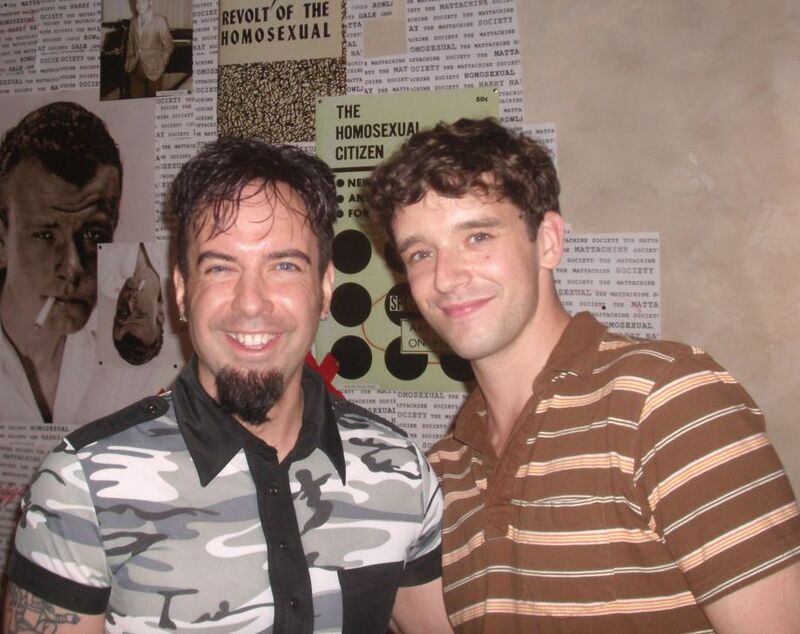 In contrast is Hay’s boyfriend, Rudi Gernreich (Michael Urie), a talented clothing designer whose career is on the rise. He’s dressed in a turtleneck, with an Austrian accent and a distinctly European, more free-spirited personality to match. When we first meet the odd couple of sorts, they are discussing politics. Harry states that gay men need to organize and to become politically active. He has crafted a revolutionary manifesto promoting gay solidarity. Gernreich calls Hay’s manifesto “the most dangerous thing I’ve ever read!”… and adds, “Count me in!”. A bond forms between the two men that goes beyond romance. Knowing that there’s strength in numbers, the two set out to find other like-minded gay men. Their task turns out to be the equivalent of baking a cake completely from scratch… and not even having the ingredients or a recipe to work with. The very act of finding other gay men was an ordeal. Even when they found them, the men were almost always reluctant to identify themselves as gay. Having meetings was another ordeal. (As one character points out, even two men renting a hotel room together would raise too much suspicion.) To get some strength behind their fight, Hay and Gernreich attempt to find a famous heterosexual man who would stand up for their agenda, the equivalent of a celebrity spokesperson today. Director Vincente Minnelli (Played wonderfully by Tom Beckett) seems like their candidate, but he declines their offer. 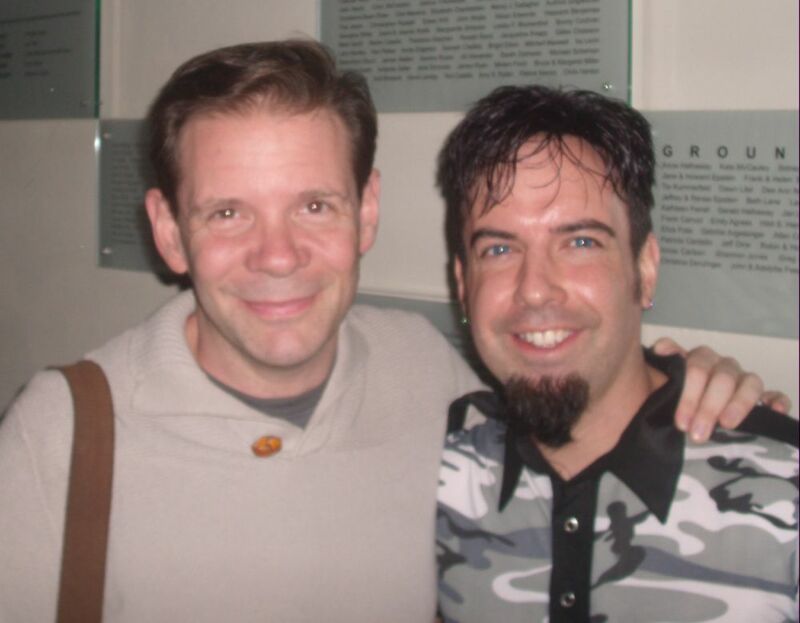 Eventually, Hay and Gernreich find three more dedicated gay men: Bob Hull (Matthew Schneck), Chuck Rowland (Tom Beckett), and Dale Jennings (Sam Breslin Wright)… and, quaint as it may sound in 2009, the audience gets to witness a milestone when five openly gay men are finally together in one room in 1950. That was the first meeting of what would become The Mattachine Society, the first enduring GLBT rights organization in America. A major challenge to their nascent movement comes when The Mattachine Society decides to publicly stand behind Dale Jennings after he was unjustly accused of lewd behavior in a men’s restroom in 1952. 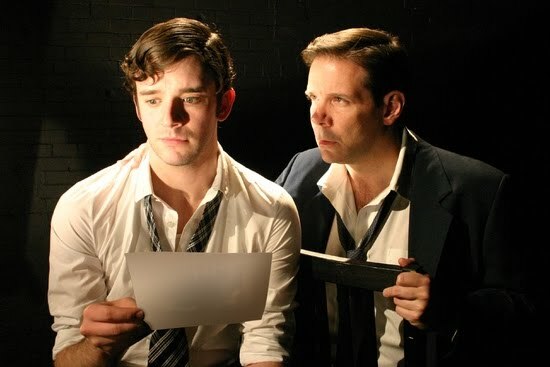 The results of the trial become a pivotal point in the play, as it was a pivotal point for The Mattachine Society in actual history. As Harry Hay, Thomas Jay Ryan portrays a man who not only battles some significant personal conflicts, but also had to deal with the frustration of having a “years-in-the-making” (yet deceptively simple, when seen in retrospect…) attitude about equality in an era of sexual and social repression. Even when he’s not uttering a single line, Ryan conveys Hay’s passion for his cause so intensely that it seems like that passion is going to bust out of him at any time. It’s a hefty challenge, and a hefty triumph for Ryan. Michael Urie, as Gernreich, is an amazingly expressive actor. In the intimacy of he small Barrow Group Theater, his facial expressions and emotional nuances really come through, as if there’s no distance at all between him and the audience– or as if we’re watching him in close-ups on TV or film. The rest of the cast, in multiple roles, are equally superb. It’s a wake up call when they take their bow at the end; we’re reminded that there are only five men in the cast. The set is sparse, but the actors genuinely re-create a time, place, and feel which is far, far more vast. To say that “The Temperamentals” is a historically important piece of theater is stating the obvious. It’s also poignant, funny, enlightening, and hugely entertaining overall. “The Temperamentals” is at The Barrow Group Theater (312 W. 36th St. btwn 8th and 9th Aves.) and has been extended through August 23rd. Check out http://www.TheTemperamentals.com for all the deets.